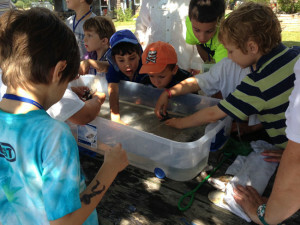 Every summer for the past 20 years, the Branford Land Trust has sponsored an Environmental Day Camp for Kids. Since its inception, more than 800 children have participated in the camp, which gives kids ages 5-9 an opportunity to explore the natural wonders of Long Island Sound and its associated habitats. Held each summer at the Killam’s Point Conference Center, the day-long camp includes a variety of activities including tide pools and forest exploration, touch tanks, nature crafts and games, live birds, amphibians and reptiles, music, music, and more. Registration is required, and participants are provided with an agenda, map and list of things to bring. This year’s camp will be held on July 23 and 24. Participants may choose to attend either Thursday or Friday from 9:00 AM – 4:00 PM. Volunteers are always needed for this event. 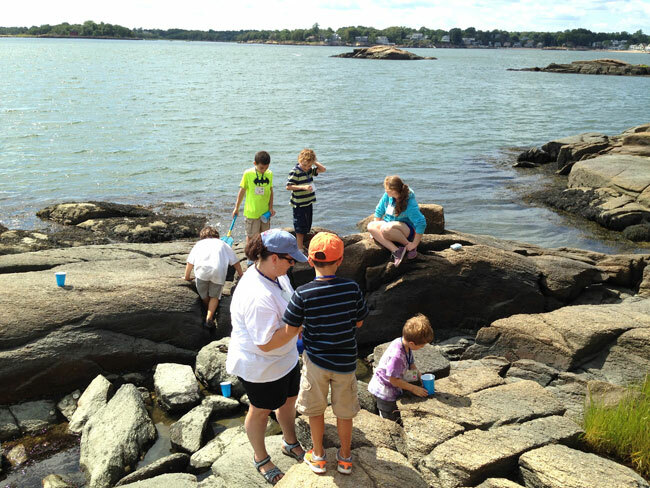 If you work well with children and would like to enjoy a summer day by the water, please contact Martha Rice at 203-314-7128, mhbrice@gmail.com.